This is a wonderful shot, Angloswiss. Your photos just get better and better. Well, you gotta be there when the bee shows up! You still get the credit. I grew this for the first time last year. It is coming back nicely. I prefer the common name of ‘coneflower’ because the last name of someone I know is Cone. Both names are commonly used here. 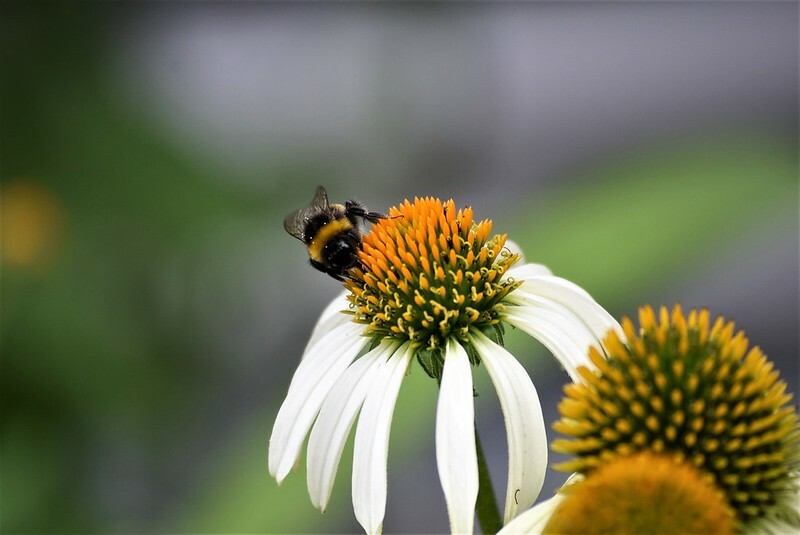 ‘Echinacea’ became more popular over the years, as it became a fad as an herbal supplement. Prior to that, it was probably more commonly known as the ‘coneflower’.